F039272 TUTCO SUREHEAT air heater Type k thermocouple with an exposed tip for faster reaction time. Sold by TUTCO SUREHEAT . The type k thermocouple has a 3/16" diameter probe with an exposed tip to quickly sense the exit air temperature. This thermocouple tip should be mounted 1" or less (0.5" is better) from the exit air opening. 039272-90 TUTCO SUREHEAT air heater 90 degree probe Type k thermocouple with an exposed tip for faster reaction time. The type k thermocouple has a 3/16" diameter probe with an exposed tip to quickly sense the exit air temperature. This thermocouple tip should be mounted 1" or less (0.5" is better) from the exit air opening. The 040291 TUTCO SUREHEAT Hot Air tool provides a triple pass exchange housing. The Serpentine VI heater's triple pass exchange housing uses incoming air to travel (and cool) down the outside shell of the heater. The air then travels through a slot and into air holes, where it rapidly warms as it flows over the heater element and exits out of the heater. The 040292 Hot Air Heater Provides A Maximum Process Heat Of 1500 Degrees F By Providing 6,000 Watts At 240 Volt Power And 25 Max. Amps. The Heater Is 10.88" Long With A 1.25" Outside Diameter. The 040299 is a thermocouple holder for the TUTCO SUREHEAT Serpentine VI hot air heaters, and it includes one type K thermocouple with an exposed tip. 042339 TUTCO SUREHEAT Hot Air Heater Serpentine VI Base Adaptor Assembly Works With Serpentine VI TUTCO SUREHEAT Heater Elements. The TUTCO SUREHEAT Heater Part Numbers Are 040291, 040292, 061429, & 056548. The 056548 Hot Air Heater Provides A Maximum Process Heat Of 1500 Degrees F By Providing 8,000 Watts At 240 Volt Power And 33.3 Max. Amps. The Heater Is 10.88" Long With A 1.25" Outside Diameter. 057081 TUTCO SUREHEAT Air Heater Open Loop Manual Power Controls Are Made For 100-277 Volt Power Single Phase And 25 Amps. TUTCO SUREHEAT Serpentine VI Hot Air Heater Triple Pass Exchange Housing 057088 is used for the Serpentine VI Hot Air Tools. It is 2.1" in diameter with a 12.9" overall body length. The outside diameter of the air outlet is 1.4", and it has a 3/4" NPT on the air inlet opening. This 061429 TUTCO SUREHEAT Hot Air Heater Provides A Maximum Process Heat Of 1500 Degrees F By Providing Two-stage 6,000 Watts At 240 Volt Power And 20.8 Max. Amps. This TUTCO SUREHEAT Heater Is 10.88" Long With A 1.25" Outside Diameter. 066823 closed-loop power control unit is made for 30 amp, 240 volt and 4 to 20 mA. Overall dimensions are 5.5? long 4.75? wide and 3? height. This TUTCO SUREHEAT power control unit is used with the 070429 (now obsoleted) and 076361 digital temperature controllers. 070429 Digital temperature control, 1/16 DIN, 4-20mA and used with 066823 closed-loop power control. This temperature controller has been obsoleted by TUTCO SUREHEAT, and the 076361 model will ship in its place. The 076361 is the digital controller used for TUTCO SUREHEAT hot air tools 068462, 068463 and 068464. 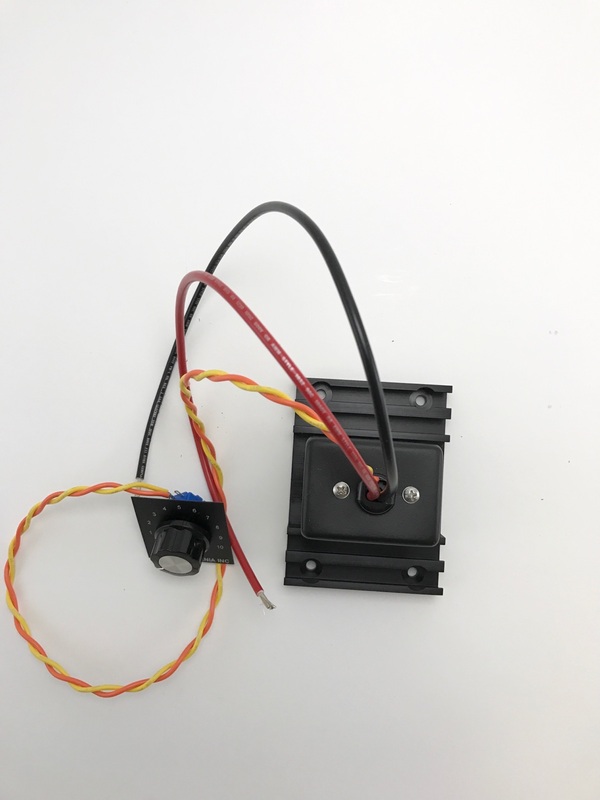 076361 Digital temperature controller, 1/16 DIN, 4-20mA is a direct replacement for the 070429 obsoleted temperature controller and is used with 066823 closed-loop power control. The 076361 is the digital controller used for many of the TUTCO SUREHEAT hot air process heaters. The 076634 (or F076634) TUTCO SUREHEAT Hot Air Tool Provides A Triple Pass Exchange Housing. The Serpentine VI Heater's Triple Pass Exchange Housing Uses Incoming Air To Travel (And Cool) Down The Outside Shell Of The Heater. The 076635 (F076635) TUTCO SUREHEAT Hot Air tool provides a triple pass exchange housing. The Serpentine VI heater's triple pass exchange housing uses incoming air to travel (AND COOL) down the outside shell of the heater. 206119 (F206119) TUTCO SUREHEAT air heater Type k thermocouple with an exposed tip for faster reaction time. Sold by TUTCO SUREHEAT . The type k thermocouple has a 1/8" diameter probe with an exposed tip to quickly sense the exit air temperature. This thermocouple tip should be mounted 1" or less (0.5" is better) from the exit air opening. 206119-72-Extension (F206119-72-Extension) TUTCO SUREHEAT air heater Type k thermocouple extension only is 72 inches long with split wire ends and a type K 1200F high temp standard two pin plug. 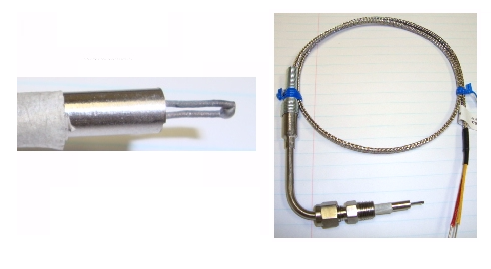 Other custom thermocouples available upon request to meet your application needs.